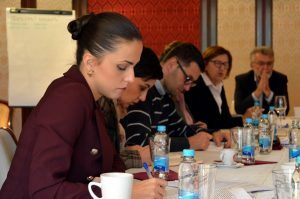 A meeting of key stakeholders of the project “Support to the governments of Republika Srpska and the Federation of BiH and in the fight against corruption” was held in Banja Luka today. The project is supported by the British Embassy in BiH. 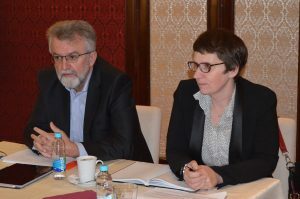 The meeting was attended by representatives of the RS Ministry of Justice, the RS Ministry of Finance, the RS Ministry of Administration and Local Self-Government, the RS Civil Service Agency, the RS Agency for Seized Property Management, the RS Chamber of Commerce and the Agency for the Prevention of Corruption and Coordination of the Fight against Corruption of BiH, who discussed with the project team the planned project activities aimed at fight against corruption in Republika Srpska. All representatives of institutions expressed their support as well as readiness for cooperation in implementation of the planned project activities.